Danielle Flood’s memoir, The Unquiet Daughter, will be released on September 1, 2016. Danielle Flood, a journalist born of the wartime love triangle that inspired the one in Graham Greene’s The Quiet American, searches for her father after surviving a bizarre youth of privilege, estrangement and cruelty. 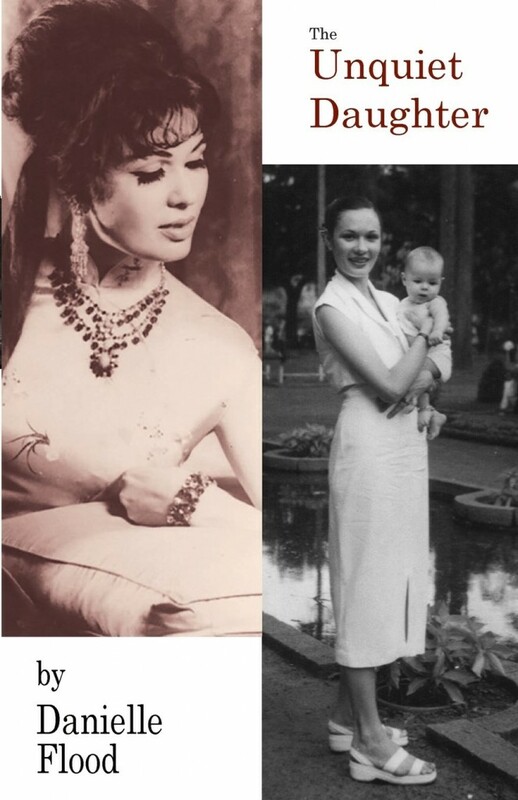 As she yearns for her father’s love and presence, Danielle’s beautiful French and Vietnamese mother leaves her in burlesque house dressing rooms in the American Midwest, in convent schools in Long Island and Dublin, and with strangers in New York City. Meanwhile she lies to Danielle about their past for decades in this sometime-humorous near-tragic love story between a daughter and a mother and more. In the end we learn if Flood’s journey through the truth of what happened between her parents in early 1950’s Saigon satisfies her life-long quest for who she is. Read a review of The Unquiet Daughter on Publishers Weekly. Pre-order your copy through Piscataqua Press or on Amazon.